So it's well into the new school/college year now as we all are very aware. I don't know about you, but I like to pack a few beauty bits in my bag to keep be going during my long college hours (sigh), and I've recently discovered the perfect product to take with me. I've been a fan of the 'I Love...' bath, body and beauty range ever since I took the Mango and Papaya bubble bath on holiday this Summer. They smell amazing and are so affordable (I'm thinking student budget)...I'm building up quite a collection (oops). So, when I was mooching around Superdrug (just for a change) I found this small body spray in the shop window. Of course I had to give it a go, and I am so impressed. 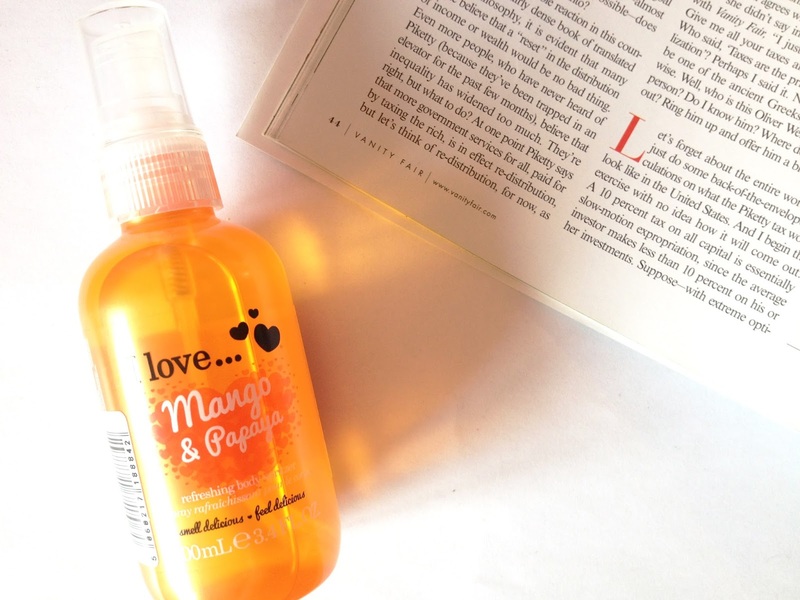 It's the I Love...Mango & Papaya Body Spritzer. This is the perfect product to carry with you around school and college (and when you're generally out and about) because it's small and handy to just slip in your bag, the bottle is durable when it's being thrown around, and it all around smells amazing. I'm loving fresh scents at the moment, and boy does this do the trick. I'm obsessed, and I think I'll have to purchase the other scents so I can mix it up whenever I fancy something different (it's also available in Coconut & Cream, Raspberry & Blackberry, and Strawberries & Cream). Overall? 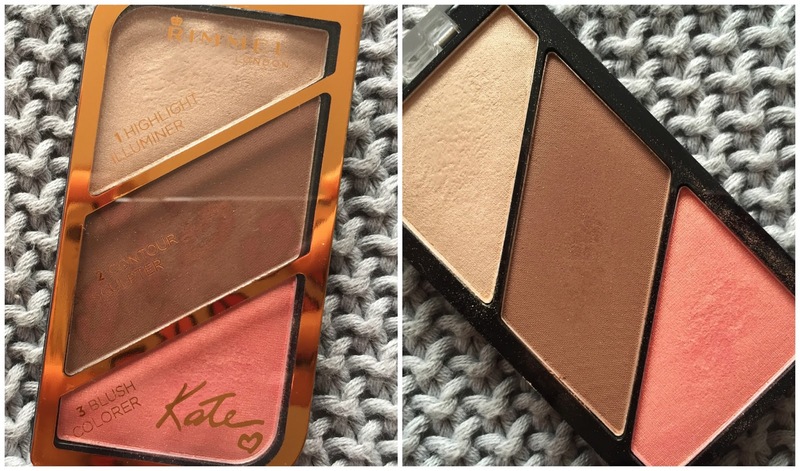 This is the perfect essential for your school/handbag, and you need to get down to your local drugstore to try it ASAP.